I was fortunate to have been invited to attend the exposure trip to Binalot's Dahon community for bloggers in Nagcarlan, Laguna on February 10, 2010. It's wonderful to know the humble beginnings of Binalot, the fast-food restaurant chain, and how it is able to get a constant supply of banana leaves to wrap its meals, and in turn, helping a community have sustainable livelihood programs and improve their living condition. It came to a point where the business couldn't even sustain its supply of leaves as it expanded its operation in Metro Manila. I have also learned how the banana leaves are being prepared by the Dahon community volunteers before they can be used to wrap meals for the customers' enjoyment. Binalot does not only offer us great Filipino food, but it also helps a community have a better life and encourage people to be environment-friendly. Fast food dining is generally regarded as unfriendly to the environment. Most materials used for packaging are non-biodegradable (e.g. plastic, Styrofoam) so the more people consume fast food, the more solid waste they generate. But a local fast food chain has found a better way of packaging food. 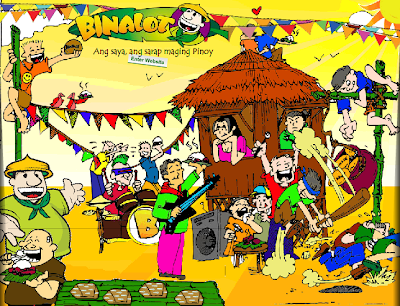 Using banana leaves to pack its rice meals, Binalot Food Fiesta promotes Filipino culture and, at the same time, helps the environment because of its reduced non-biodegradable waste output. “We are using the traditional system of wrapping all-time Filipino favorites in Banana leaves, making Binalot the only environment-friendly fast food chain,” says CEO and owner Rommel Juan. And their advocacy goes beyond just using biodegradable materials. The company has been providing support for banana growers in the south, and has also been consistently helping various groups to further its campaign of protecting and preserving the environment. Being an eco-friendly fast-food chain makes Binalot a perfect partner for environmental groups like the Ms. Earth Foundation. Binalot has been supporting the foundation by providing meals in most of their activities. “Since our products are packed in a really environment-friendly technique, we are helping the group take meals in an eco-friendly way." banana plantation and go home late at night. For a whole day’s work harvesting bananas and its leaves, they earn just enough for the basic necessities of life. The hand-to-mouth existence they find themselves in forces some of them to try their luck in the city, thus tearing families apart. In an effort to break this vicious cycle, Binalot decided to initiate the DAHON Program. The program aims to break the cycle by creating opportunities for the farmers and their families to improve their lives without having to leave the community. The DAHON Program helps the farmers by buying banana leaves from them directly at a premium, thus maximizing their income. Under the program, the farmers harvest the leaves and with their families, clean and cut them. Binalot then buys the leaves from the farmers per piece. The farmers were trained in processing the leaves and the sustainable harvesting of the leaves. They were provided a suitable workplace and the tools and materials for their work. To ensure a steady market for the produce, other like-minded companies were convinced to join the program. 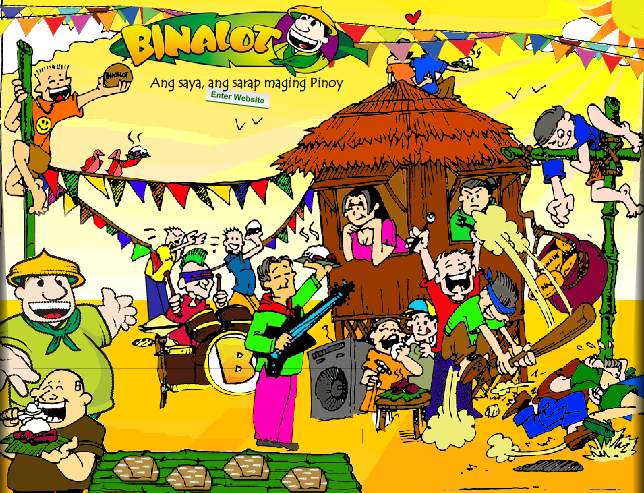 Binalot is also developing others banana-based products to maximize the farmers’ income. The program not only provides livelihood but also helps the environment. Every year, millions of tons of non-biodegradable wastes are produced in Metro Manila alone. This garbage often ends up in our rivers and streams, causing floods and destroying numerous ecosystems. In this age where people increasingly feel the effects of environmental degradation and global warming, every Filipino must contribute his share in helping the environment. By promoting the use of banana leaves as packaging, Binalot and DAHON try to do their share in helping conserve the environment. However, given the fierce competition for jobs in the city, most fail to find suitable jobs for themselves. Sometimes, they cannot return to their families and consequently join the ranks of the numerous unemployed population of the city. Thus, provided a sustainable livelihood in their community by DAHON, the people no longer have to leave their families for greener pastures. Binalot’s DAHON Program stands out from other CSR programs due to its sustainability. It is one of the few CSR (Corporate Social Responsibility) programs around that offer a sustainable development plan to the community, providing a long-term, sustainable development plan for the farmers. It also helps in the community and in the social development of the farmers. The program gives farmers regular income from daily orders of banana leaves. It provides livelihood opportunities to all members of the community. The women and the elderly are integrated into the production process, cleaning and cutting the leaves. Because of this, they are able to supplement their family’s income, allowing them to improve their living standards. Proper education is one of the cornerstones of a bright future. It is a great equalizer against poverty. Sadly, many Filipino children lack access to education. Those who have access often have to endure uncomfortable conditions not conducive to learning. That is why DAHON helped in renovating the community’s day-care center, providing paint, construction supplies and a helping hand in the renovation. Now, thanks to the renovation, the children can study in a more comfortable environment. Aside from the school, the community chapel was also renovated. Under study is developing varioussnacks based on the banana fruit such as banana chips in various flavors. Another is finding a bigger market for the puso ng saging, a vegetarian delight. In the drawing board too is a Tilapia sa Bakuran Project where those interested will be taught and helped set up a small tilapia farm in the backyard. Binalot will also buy the produce so the market is ensured. Recently we have also trained the community to make Banana Chips. These chips are now being sold in all Binalot stores. The next project in the works is a composting facility using the trimmings of the Banana leaves as raw material. For more information about Binalot's DAHON Program, you may get in touch with Robie Mateo of Binalot Foundation Secretariat at (632) 481-6155 or +63.922.8573284.